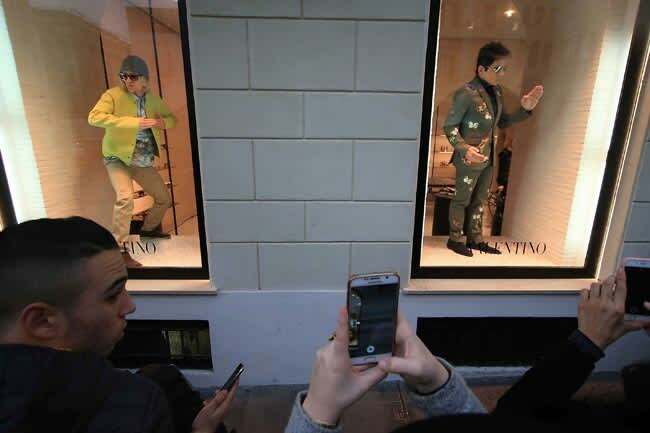 Zoolander 2 stars Ben Stiller and Owen Wilson pose up a storm in Valentino window | HELLO! With under two weeks to go until the release of Zoolander 2, the film's leading funnymen Ben Stiller and Owen Wilson are drumming up excitement around the movie's hotly anticipated release. 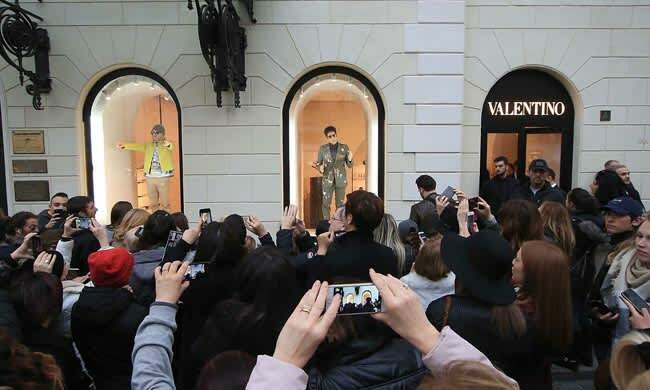 The comedy duo posed in the windows of Valentino in Rome on Sunday, creating chaos in the Italian street as passersby clamoured to snap photos and selfies with the pair. Earlier in the morning, Ben took to Twitter to alert fans: "Hey #Rome I hear Derek #Zoolander and Hansel are modelling at #Valentino store window in a little while." Shortly after, the pair were spotted blowing kisses and doing peace signs. It's the latest in a line of stunts to promote the film. In May, Ben and Owen sent fashionistas into a spin as they walked the runway for Valentino as part of Paris Fashion Week. They also reprised their roles for a FIAT commercial. Also at the weekend, Ben watched the original Zoolander and live-tweeted the whole thing. "This is really exciting," he said before starting. "Haven't watched the movie in like 2 days." The rest of the tweets were a mix of jokes, behind-the-scenes facts and jibes at Will Ferrell. Ben also reflected on David Bowie's cameo, in which the late musician judges the walk-off between Zoolander and Hansel. "Can't believe David Bowie actually did this," Ben tweeted. "We were all in shock."